Clip n’ Climb Awarded Silver for Best Facility Innovation Category! Entre-Prises’ Clip ‘n Climb Awarded Silver for Best Facility Innovation Category! Vous êtes ici : Home / Entre-Prises’ Clip ‘n Climb Awarded Silver for Best Facility Innovation Category! Entre-Prises’ Clip ‘n Climb was awarded Silver in Elevate Innovation Awards for Best Facility Innovation Category! Following a busy weekend exhibiting at Elevate, the UK’s largest trade event dedicated to physical activity at the ExCel in London, members of the Entre-Prises sales team warmly welcomed the news that Clip ‘n Climb had been selected for a silver award in the category of ‘Best Facility Innovation’. With over 8000 people from 36 countries in attendance, Clip ‘n Climb caught the eye of an expert panel of judges which included representatives from Sport England and several major UK gyms. Invented in 2005 to provide a safe, fun environment by which to experience climbing and now with 45 venues located across the UK and over 150 worldwide, Clip ‘n Climb has cemented its reputation within the UK and international fitness market as an innovative, accessible and exciting gateway into climbing. Nurturing climbers progress in the sport via a series of carefully designed challenges that develop and hone climbing technique. Clip ‘n Climb forms one part of Entre-Prises wider portfolio of innovative climbing solutions, which range from recreational climbing and school walls through to holds and Monkey Space – a unique modular training facility. Each design serves to support climbers’ through a full journey of progression, from beginner to elite performance and inspire fun! 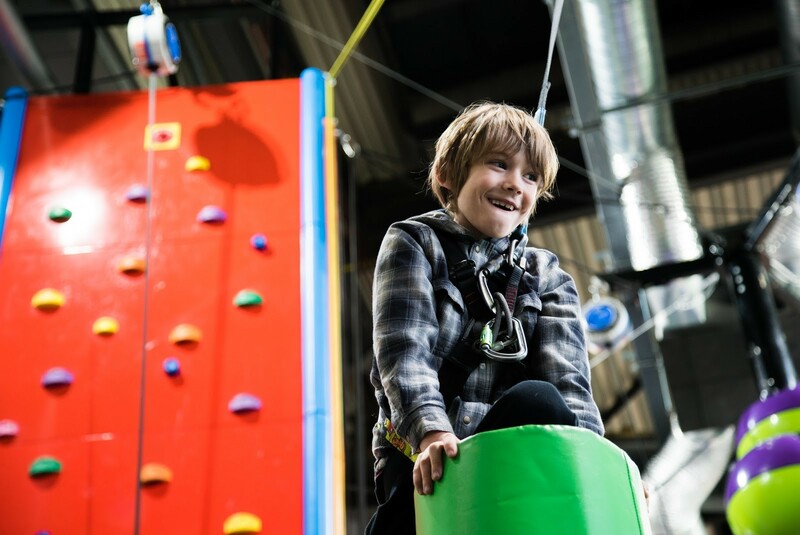 The latest addition to the UK Clip ‘n Climb roster will open in Leeds on Saturday 26th May. To find your nearest Clip ‘n Climb or for more information about the facility and challenges, click here.